I received this promotion tablet and I found is not the old Rockchip RK3026 architecture but a newer RK3126 with nmc1000 wifi chip. I tried the Root_Dump_Tool script from this forum section script to grant root access but it seems not to finalise rooting although it does not return any error. 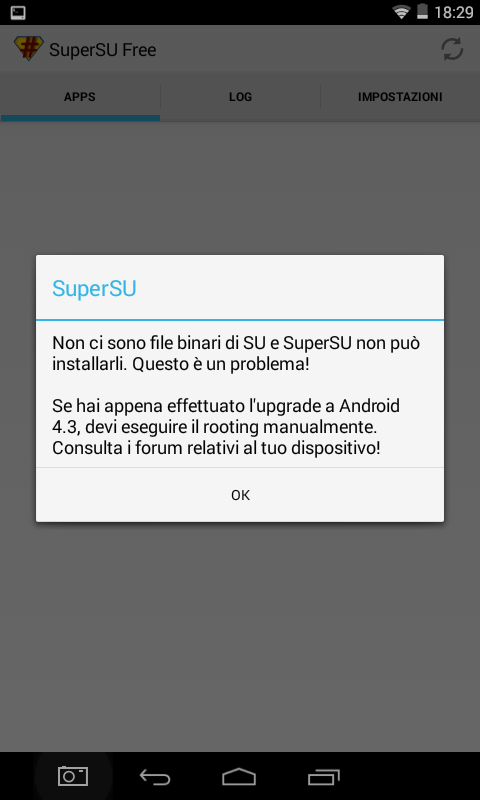 "Superuser" and "Reboot Menue" appear to be installed but running SuperSU it ends reporting that no binary su file can be found. su file is present in /system/xbin/ together with busybox. I do not know much about Android systems so I wonder if somebody can help me with this issue. With the same script I also dump the attached image. I hope it will be helpful somehow. Just change kernel, resource and uboot in folder rockdev/Image before flash. my question is: what rom customized specification should be used? Honestly I guess the original ROM is quite responsive and I just wanted to gain root control with that ROM in a similar way like your "Oma_RK3126_Root_and_Dump". Since my knoledge of Android world is still on the surface more than a simple root would be beyond my possibilities for the moment. I will keep the possibility to replace the rom, exchanging uboot kernel and resorce files with the new ones, as a second step. Here's the DUMP of my ROM. I'm not sure the kernel you've uploaded is for #249 and it's good for me. as I found two ron customized, can you tell me which of these two should be used? is the dump that I've done on my tablet. So this isn't customized but the original one. The promotion tabless is a 800x480 and the ROM "OMA U25GT-W4KitKat Build V1.0" seems to contain TRWP recovery for different screen resolution.Regards. 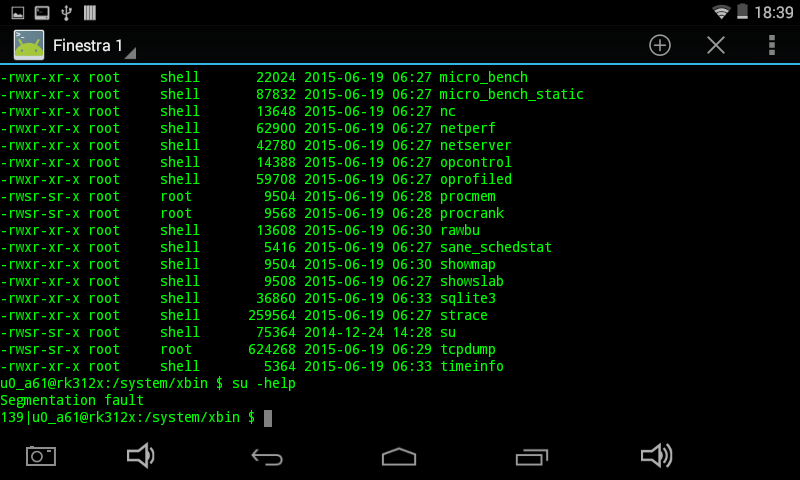 Ok, we do have 2 kernel now: #248 preempt 7 July 2015 and #249 preempt 10 July 2015. Pretty much the same, I guess. Hi guys, sorry for my bad english ! I'm an Italian user of this tablet. After 4 hours of use I messed with titanium backup and is now completely bricked. I can not update the firmware (the original or the release of OMA) because he says "Footer is wrong, signature verification failed". Various tools for upgrading from PC recognize my tablet as ADB device but when pressed any button (run, switches, lower format and clear) return the message "device type match failed, stop running." I tried various versions of drivers without result. I would try as the last thing to upgrade from PC with the appropriate tools, but are not able to create the .img file. 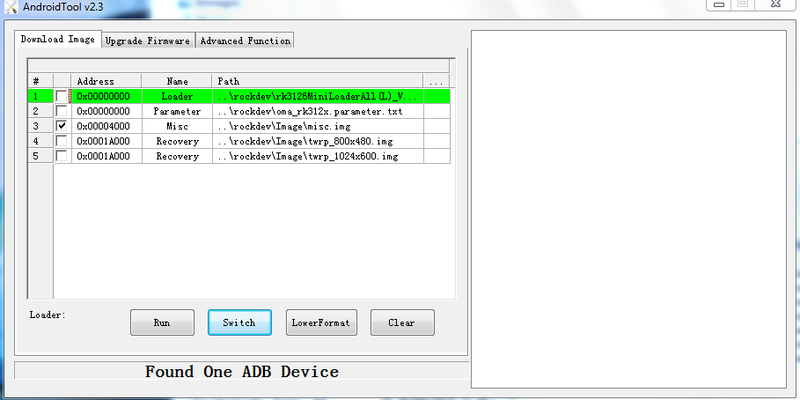 Can anyone tell me anything about this or is able to create the stock rom or the edited by AOM file firmware.img? Thanks in advance for your reply! Thanks, i've already read, but have not found the solution for my specific problem, because I need to dump willy format .img! I tried everything, I'm going crazy! I have followed instruction included in the tool but no way to get the message "Found One LOADER Device" as in the picture attached. This message I get at the beginning and if I push "switch" button I ear the device disconnecting and nothing more. If I try the alternative method as you suggested, after reset and switch-on + vol-up I ear the device disappearing and then appears again but always as ADB device, never as LOADER device. My device is as from factory (no previous root or reflash). Do you have any suggestion? Coud it be something related to the bootloader locked?